The planetary momentum is still overwhelmingly forward this month, and progress to your goals (and in the world at large) is swift. This is another good month to launch new products or projects. This month I like the 10th to the 18th the best, but the 18th to the 25th is pretty reasonable too - a solid second choice. You are still very much in a yearly social peak until the 18th. Romance is in the air. While marriage is not likely, there are marriage opportunities happening. You meet people who are 'marriage material'. Singles have many types to choose from - athletic and military types, intellectuals, the rich and the powerful. Each has their particular allure. Your personal popularity is very strong these days. You seem very devoted to others; you are putting other people first (which is exactly what you should be doing now) and people respond to this. The Western, social sector of your chart is still strong all month. Being in power is good, but being out of power also has its good points. This is a time to flow with life, to allow a higher power to take charge. Many of the problems in life come precisely because a human, very limited mind has been in charge, interfering with the perfect plan that wants to manifest itself. Now that the limited human self is less in charge, the higher plan can be revealed. Health still needs watching until the 18th. Keep in mind our discussion of this last month. After the 18th health and energy improve dramatically. If there have been health problems, you hear good news on that score. Detox regimes are good all year, but especially after the 19th - your 8th house of transformation becomes powerful then. But detox should be carried further than the physical body. It should apply to the mind, the emotions and the financial life. The mind gets clogged with effete material (error and false infor­mation) and needs a good cleaning, and so do the emotions. In many cases there are habitual, knee jerk responses that perhaps were once good and useful, but are not any more. We tend to collect possessions that we don't need or use, and these things clog up the works and prevent proper func­tioning. This is a good month for a comprehensive clear out. Love is still good all month. The social life is less active after the 18th but love is still good. The month ahead is a sexually active kind of month, and for Leo this is wonderful. 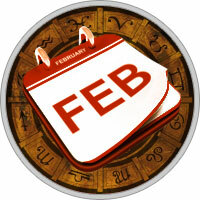 Venus makes fabulous aspects to the Sun on the 6th and 7th and this brings career success and career opportunity. Avoid speculations from the 8th to the 10th and from the 24th to the 26th. The dream life is also highly active on the 6th and 7th. Important spiritual information comes to you. There could also be a meeting with some sort of guru.